Police made 10 arrests while policing the city for the Brighton and Hove Albion v Crystal Palace football match last night (December 4). Four arrests were made in the city, three at Falmer railway station, and three were made at the Amex Stadium, said Sussex Police. • A 25-year-old man from Croydon was arrested in Middle Street, Brighton, on suspicion of common assault and possession of a controlled drug of Class A - other. • A 23-year-old man from Shoreham was arrested in Queens Road, Brighton, on suspicion of using threatening or abusive words or behaviour or disorderly behaviour likely to cause harassment, alarm or distress. • A 55-year-old man from Shoreham was arrested at Amex Stadium on suspicion of affray. • A 17-year-old boy was arrested at Amex Stadium on suspicion of affray. 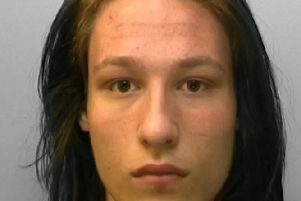 • A 21-year-old man from Shoreham was arrested at Amex Stadium on suspicion of throwing a missile (a pie) onto a football playing area. • A 34-year-old man of no fixed address was arrested in West Street, Brighton, on suspicion of being drunk and disorderly in a public place. • A 31-year-old man from Bromley was arrested at Falmer railway station on suspicion of common assault of an emergency worker. • A 57-year-old man from Lewisham was arrested at Falmer railway station on suspicion of common assault of an emergency worker. • A 28-year-old man from Polegate was arrested on the approaches to Falmer railway station on suspicion of assault occasioning actual bodily harm. • An 18-year-old man from Chipstead was arrested at Brighton railway station on suspicion of being drunk and disorderly in a public place. All remained in custody at 12 midnight on Tuesday (December 4). The final score was 3-1 to the Seagulls.